The Kimber Pepper Blaster II is an excellent choice for personal defense. The Pepper Blaster has two shots of high velocity pepper gel. This allows the irritant to reach the target quicker and with more accuracy. 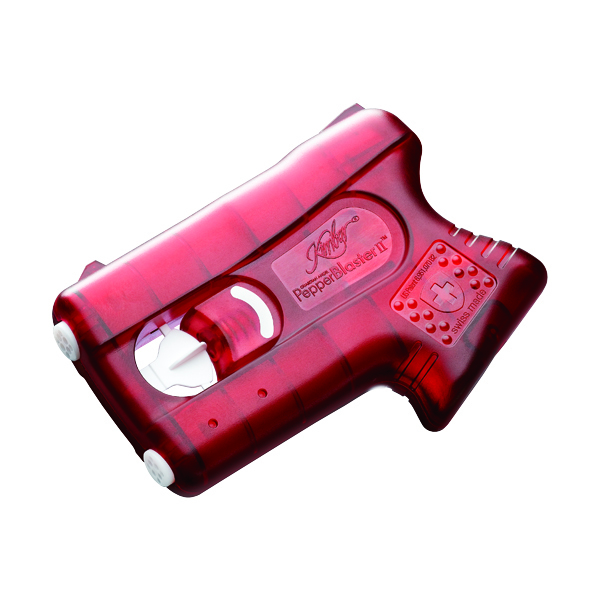 The gel contains a UV dye, which can be used by law enforcement to identify an attacker. This is an excellent choice for non-lethal defense.